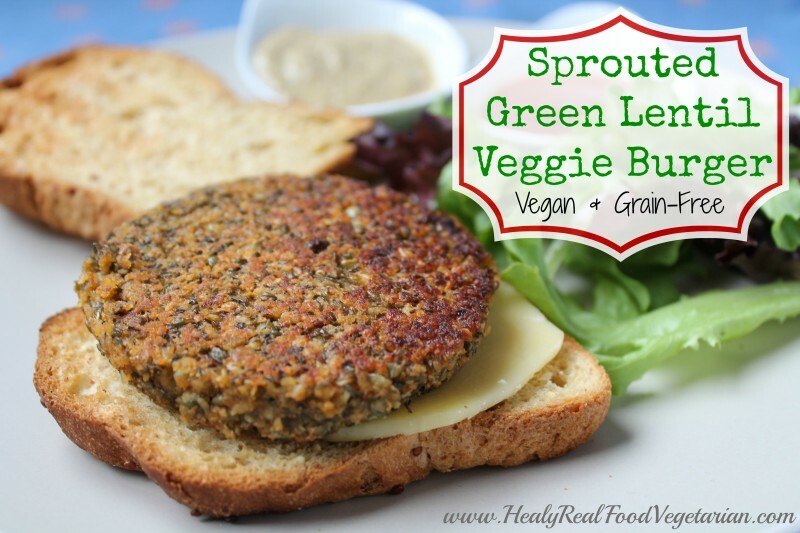 A delicious, healthy and easy burger made with sprouted green lentils. Today I’m so excited to share a recipe for a delicious sprouted green lentil burger from my brand new ebook Gluten-Free Vegetarian! Today I’m so excited to share a recipe for a delicious sprouted green lentil burger from my brand new ebook Gluten-Free Vegetarian! This veggie burger is a great easy lunch to make. I’ll sometimes make a big batch and refrigerate or freeze some of the patties to have for easily accessible, healthy lunches during the week. My new book Gluten-Free Vegetarian is a must-have for anyone who wants to avoid processed foods, learn about traditional food preparation and make their own meals from scratch. 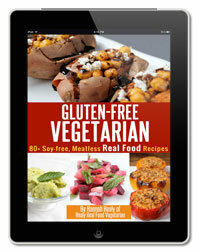 Gluten-Free Vegetarian features over 120 pages of gluten-free, soy-free real food recipes that anyone will enjoy! 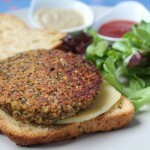 Have you tried this Sprouted Green Lentil Burger? Don’t forget to rate the recipe and leave me a comment below. You can also follow me on Facebook, Twitter, Instagram, Pinterest and YouTube. Make sure you sprout the lentils 3 days prior as it takes lentils about 3 days to sprout. Combine all ingredients in a food processor. This will chop up the crunchy sprouted lentils and mix all the ingredients together. Heat about 1-2 tbsp ghee, butter or oil in a skillet. Form about 1/4 to 1/3 cup of the mixture into balls, then flatten into a burger shape. These burger should be a little thinner than regular burgers. Cook for several minutes on each side. Each side should be golden brown. 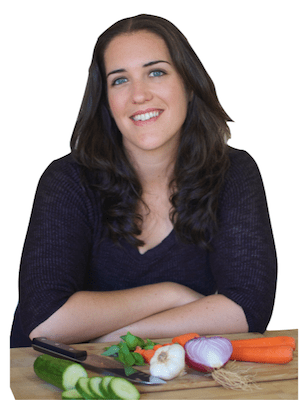 Don't forget to check out my ebook Gluten-Free Vegetarian! It contains this recipe and many other new recipes! This recipe is part of my NEW ebook Gluten-Free Vegetarian. 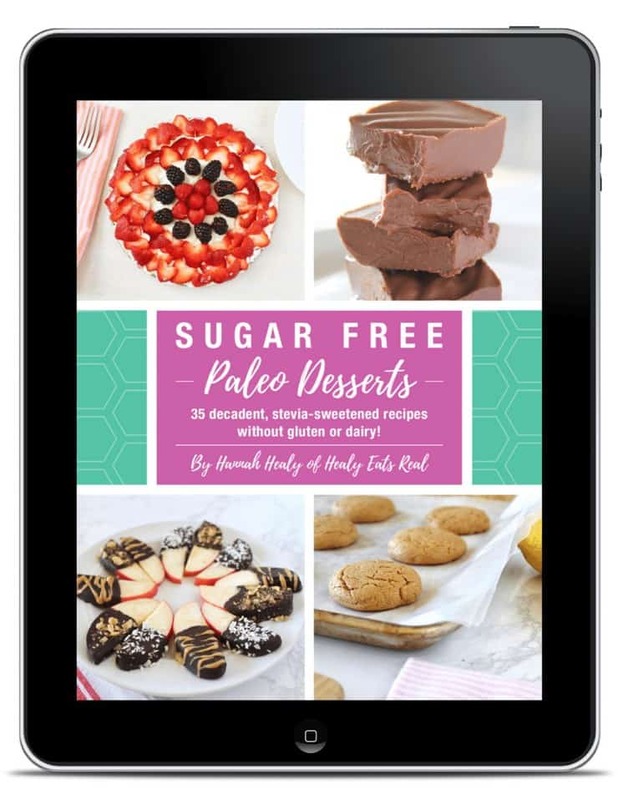 It features over 120 pages of gluten-free, soy-free, meatless real food recipes along with tutorials and guides to help you make food from scratch so you can save money and be healthy!